Wahyo Abraham from Surakarta, Central Java, has won first prize in the Indonesia Young Fashion Designer Competition (IYFDC), which was held as part of the ongoing Indonesia Fashion Week (IFW). 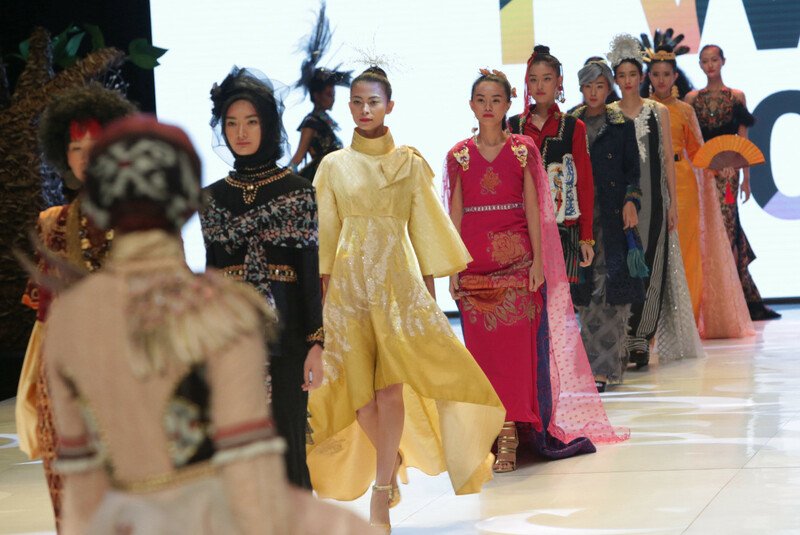 According to a press statement made available to The Jakarta Post, the main theme of this year’s IFW is Cultural Values, highlighting the Kalimantan culture. Wahyo said in the release that his design inspiration for the competition came from the rivers of Kalimantan. “I was inspired by women and rivers of Kalimantan. The women weave their clothes after they work in the rice fields, and their weaving portrays Indonesian flora and fauna,” Wahyu said at the Jakarta Convention Center (JCC) on Saturday. Following his success in the competition, Wahyo is eager to start developing sustainable fashion using ecofriendly materials. Second, third and favorite winner of this year’s IYFDC are Merah Chumairoh, Pravita Viniani and Frederika Cynthia Dewi, respectively. For their designs, they explored Kalimantan’s natural and cultural landscapes, from its forests to ancient technology of its civilization. IFW president Poppy Dharsono said she appreciated the works of Indonesia’s younger generation in this competition. “Fashion should be seen from its concept, sewing [process] and other technicalities. It is to be seen but also to be sold and worn by other people,” she was quoted as saying.